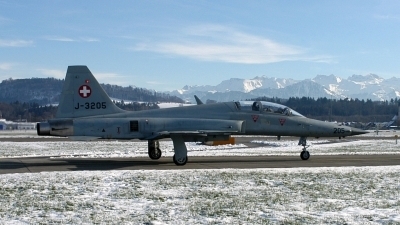 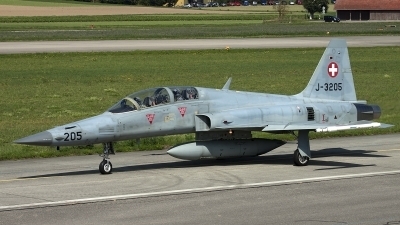 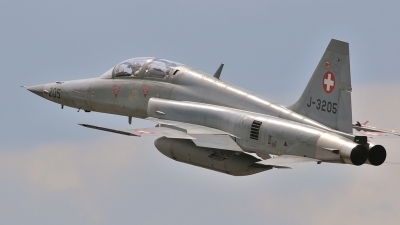 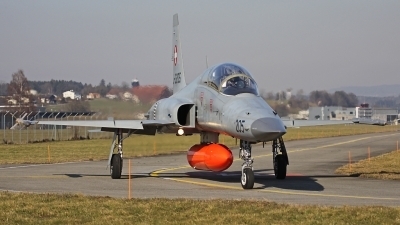 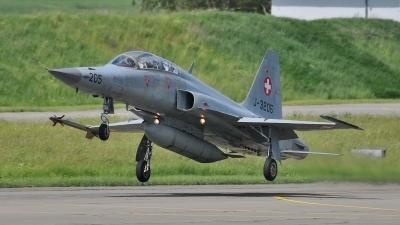 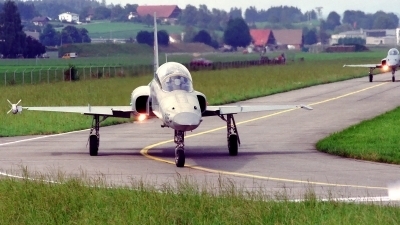 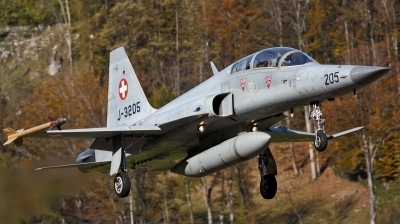 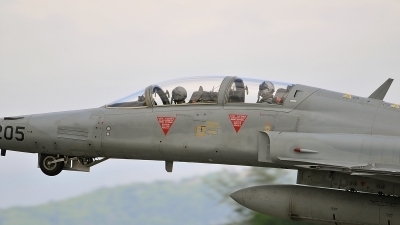 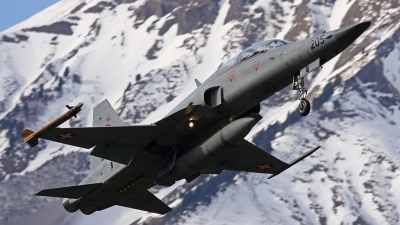 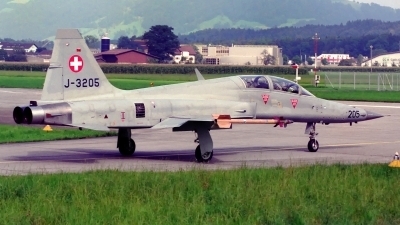 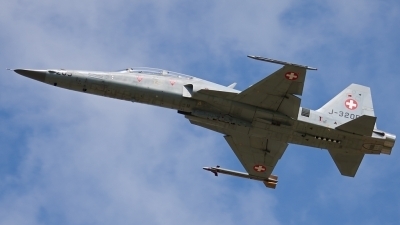 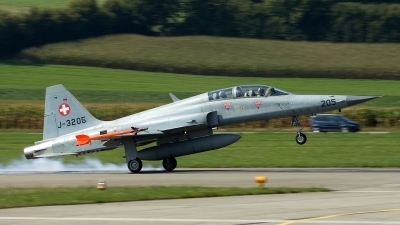 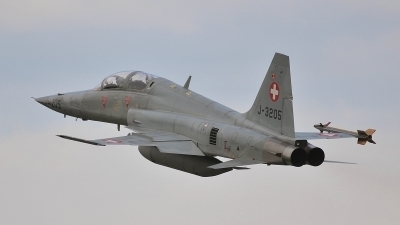 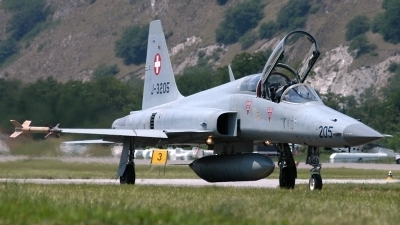 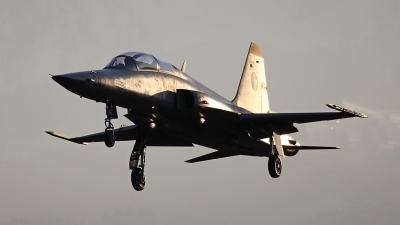 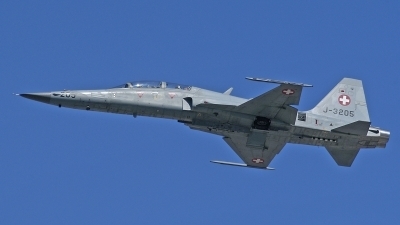 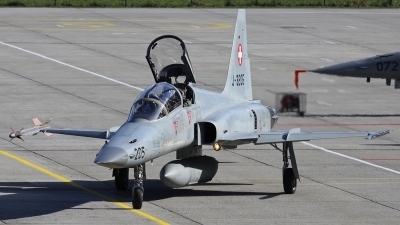 Quite a lot more of our 'obsolete' F-5 Tiger II aircrafts will leave Switzerland in 2019 to serve the US Navy and Marines - back in 1999 the world was in order and many grey Tigers active. 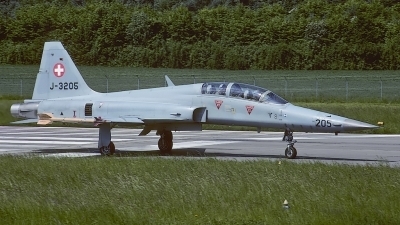 J-3205 lining up in difficult light conditions for the film. 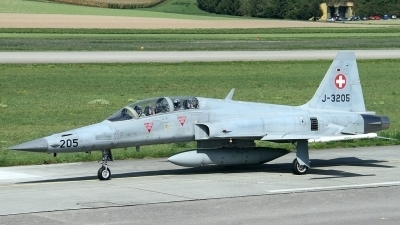 Always nice to see a Swiss twoseater Tiger ! 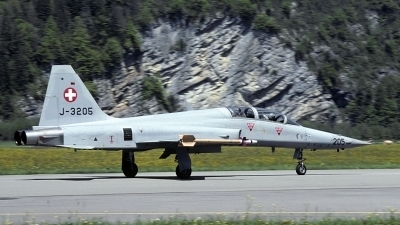 Fliegergeschwader 13, Fliegerstaffel 8, Meiringen (LSMM).